For a headliner that didn’t go on till about 10pm, the lower level of LA’s Shrine Expo Hall was practically filled up by 8:30 last night at the Empire of The Sun show. Most of the bars and bathrooms had lines at least 10 people deep and finding a good spot to watch the show was hard to come by very early on in the evening. 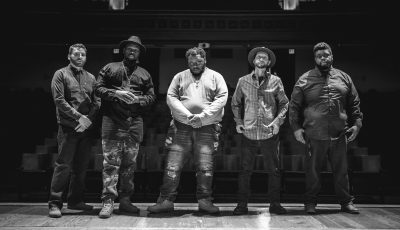 Special guests Tobacco Rat and Broods opened this Wednesday, April 19th show. 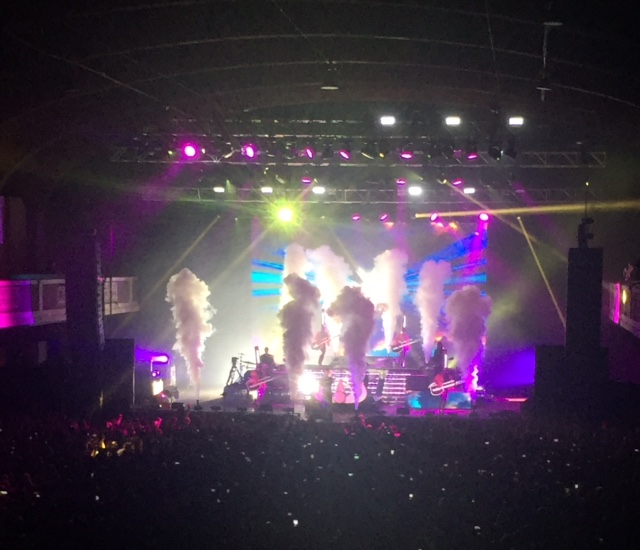 For an hour and a half, the Australian electronic music duo Empire of the Sun put on an incredible theatrical performance complete with an eye-popping laser light show, multiple vertical smoke machines, 4 synchronized dancers and so much more. 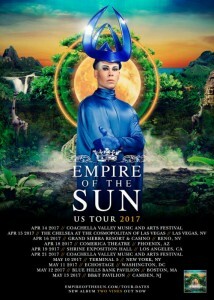 Empire of the Sun is made of members Luke Steele and Nick Littlemore. 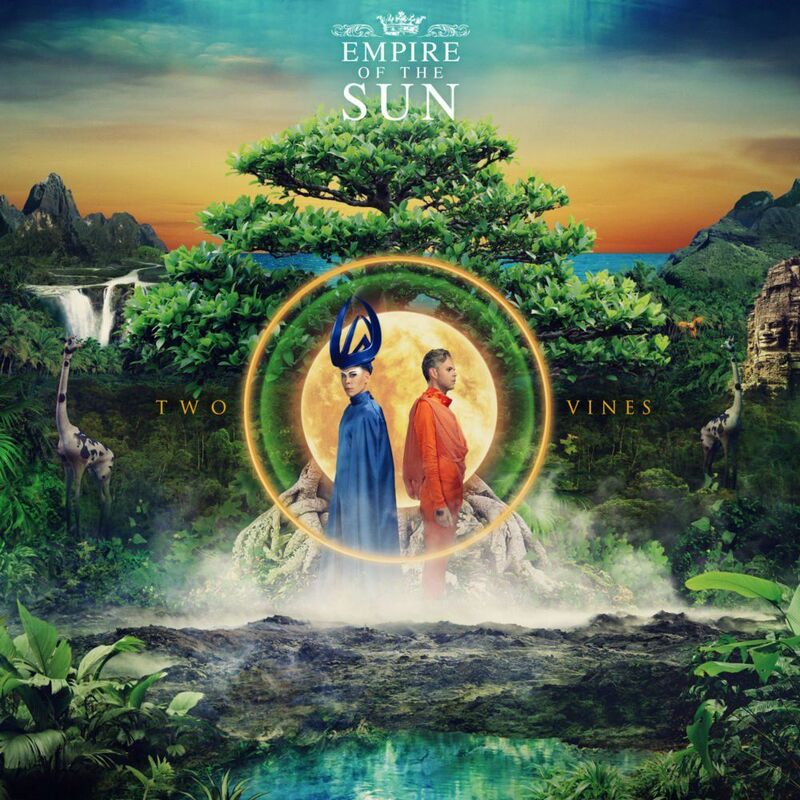 Empire Of The Sun is currently touring in support of their newest album, Two Vines. They delighted the LA crowd with many of the hits of this collection. They played Recorded in Hawaii and Los Angeles, Two Vines was co-produced by Empire Of The Sun and Peter Mayes (Sia, The Killers, Mika),alongside long-term collaborator, Donnie Sloan (Midnight To Monaco). Pianist/arranger Henry Hey and bassist Tim Lefebvre, from David Bowie’s Blackstar band, feature heavily on the album. 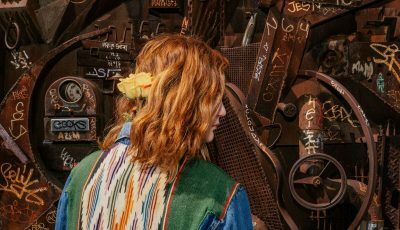 Other collaborators include Wendy Melvoin from Prince’s Revolution and Fleetwood Mac guitarist/vocalist Lindsey Buckingham. 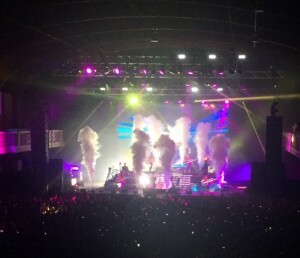 Highlights of the show were when Empire of the Sun performed their hits “Walking On A Dream”, “We are The People”, “Swordfish Hotkiss Night” and “High And Low”. They ended the night with colorful confetti shooting out into audience filling the sky. The crowd was loud and mighty and couldn’t stop dancing along to their brand of joyful songs. 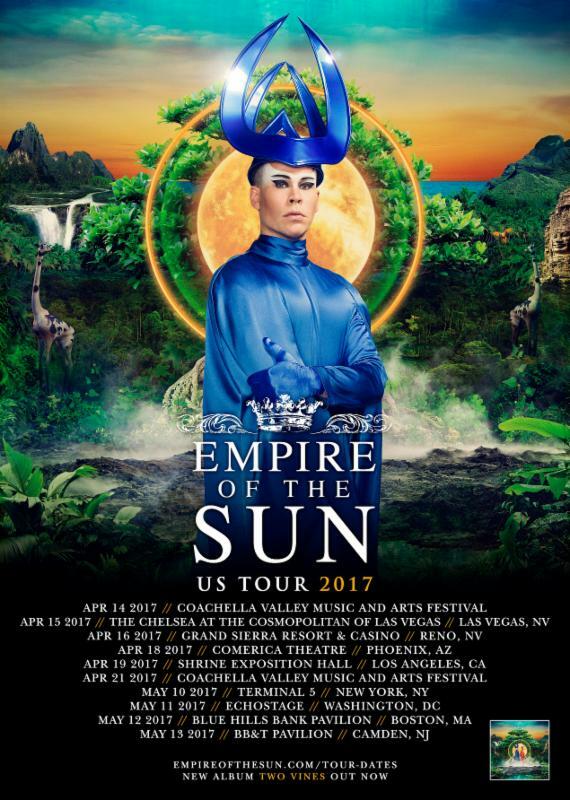 Empire Of The Sun will be at Coachella this weekend, performing on April 21st before heading to the east coast for a few more dates on this tour. 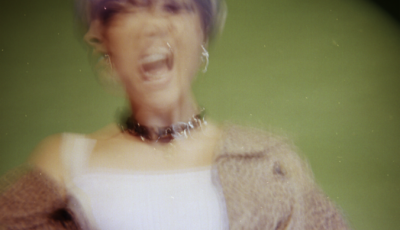 An Interview With Pop & R&B Newcomer EMALIA About Her Newest Single ‘On Your Own’, Her Debut EP and More!